Turkey is increasing its position among the top destinations for medical tourism dramatically. Moreover, it is not only in terms of the number of patient arrivals to the country but also with the obligatory regulations announced and applied by the Turkish Ministry of Health. According to the statistics shared by the Ministry of Health, in 2016, Turkey received 746.000 international patients from all over the world. This is an incredibly huge leap as just 8 years ago, that number was only 75.000. Naturally, these numbers are high enough for any government to take action in order to increase the quality as high as possible to satisfy the rising quantity. Also, the rise seems to be on a snowball effect now; in 2023, the estimated number of patients visiting Turkey for medical or aesthetic treatments is 2 million! At last, it looks like Turkey has got rid of the inertia experienced in tourism between 2015-2016 due to the political problems. Now, with hair transplant in Turkey as the most requested treatment with 180.000 operations in 2016, Turkey has returned and had more patients than ever. The other frequently demanded treatments are plastic surgery, dental treatments, in vitro fertilization, weight loss surgery, orthopedics, cardiology, oncology, and brain surgery. Three main points can be indicated for Turkey to become such a point of attraction in terms of medical tourism: The competitive prices, the short waiting time and the quality of treatments and healthcare providers. 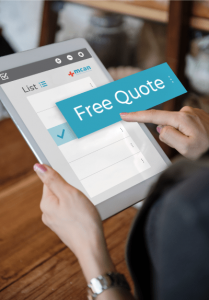 In Europe such as the United Kingdom, a standard hair transplantation operation will cost at least 5,000 EUR and the pricing is determined according to the number of grafts planned to be transplanted. However, in Turkey, it starts from 1600 EUR with the maximum number of grafts suitable for the patient and includes transfers, accommodation and the treatment. The second best part is no patient needs to wait for long periods and they can arrange the treatment even one week ago. Due to the incredible price gap, people can naturally have some doubts about the quality. However, Turkish surgeons have an advantage over their colleagues in other countries, that is; they have excelled in practice as a result of the number of cases they have experienced which is much more than the colleagues in Europe or America. Also, the surgeons update themselves with recent development in medical treatments and medical technology continuously. Thus the patients are quite satisfied with the results they have. However, although rarely happens, there can be complications and unwanted incidents. While plastic operations are now more popular than ever throughout the whole world, it should also be known that these are serious operations and they are not risk-free just like any other operation, even the minor ones. A simple Google Search on the complications during and after the plastic surgeries can make it clear that regardless of the country, surgeon or the type of operation, complications sadly happen. The Turkish Ministry of Health (MoH) seems to be aware of all these and take regulatory actions to minimize any kind of complications, malpractice, and services with low quality. Any accredited healthcare providers and medical travel company should meet the necessities required with the regulations. 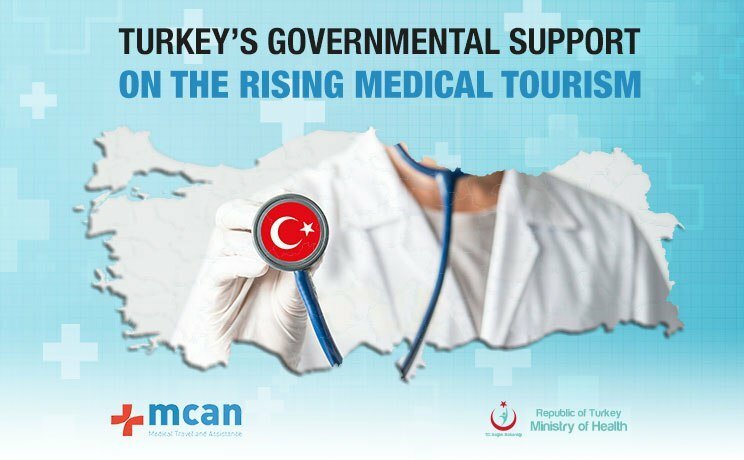 As the first phase of this reformation, the Turkish Ministry of Health needs to examine all the medical tourism companies and healthcare providers that aims to provide treatment for international patients. As a result of the audit, the Turkish MoH give accreditations to those that suit the standards for a perfect service. Thus, on the patients’ side, asking for accreditation is be a good way to determine the legal foundations of a company. A company with accreditation does not only meet the standards but it will also be inspected by the Ministry of Health in routine. How to Decide For The Best Hair Transplant or Plastic Surgery in Turkey? Namely, some of the regulations that the Ministry of Health wants to see in all companies are; providing a patient care service in at least two languages for 24 hours a day, an insurance in the travel package and informing the patient with all the details about the doctors who will performed the treatment, patient’s absolute right to make an official complaint in case of any lack of service. With the Ministry of Health, the Turkish government seems to gain more trust from the upcoming visitors and ensure them that the accredited companies will provide them an excellent service. What to Consider Before Hair Transplantation or Plastic Surgery in Turkey? Gülsultan Doğan also explains about the need for the governmental regulations that the increased activity in tourism has led the government to take certain measures in order to regularize the companies offering medical and aesthetic treatments to tourists and to ensure that the patients receive a high-quality service and prevent any kind of false practices. That is why all medical travel agencies have to be registered as a member of the TURSAB (Turkish Association of Travel Agencies) and completely adapt themselves to the regulations until the end of 2018. Istanbul is the city where the majority of medical tourists arrive to have surgical or aesthetic treatments and the city currently has approximately 400 companies offering medical travel packages. With such a large number of choices, it may be difficult for patients to choose the best company. That is why MCAN Health recommends anyone who wants to undergo aesthetic or medical treatment in Turkey to make sure that the company is accredited by the Turkish Ministry of Health and registered as a member of TURSAB and to ask for information about surgeons or doctors and read the testimonials from former patients by checking the unbiased reviews carefully. This is great news really. Health issues should not be left uncontrolled. Thanks a lot. We have always planned for the perfect treatment both in plastic surgery and hair transplant in Turkey. We are proud to be accredited by the Ministry of Health. I am planning to have a tummy tuck in turkey but the news about Turkey lately made me a bit nervous. It is great to hear that government is acting responsive. I will surely ask the clinics for accreditation now! 1- This kind of complications may happen anywhere in the world. Search for it and you will see. 2- As long as you are under the responsibility of a provider regulated by a government, you are in safe hands. Hope you visit our beautiful country. dont do with this co. Sorry to hear that, actually smoking is a major factor when it comes to hair transplant. Because it reduces the speed and effectiveness of blood circulation. Also you can get in contact with us or leave your phone number/e-mail and we can give a free consultation anytime. It wouldn’t be appropriate for us to speak about another provider, but you can always ask the provider you are planning to work with. Or you can call and ask TURSAB or Ministry of Health to have information about the companies. We wish you a successful operation in Turkey! What is their number and email please?